KissAnime is a popular smartphone app that is used to watch anime series and movies without much trouble. While the app has tons of features and a sleek interface, it has a few bugs as well. Users often look for a KissAnime alternative due to the same reason. If you are also looking for an alternative to KissAnime as well, then this would be the last guide that you will read. In this post, we will make you familiar with several alternatives to KissAnime that you can use right away. If you are also a fan of Anime series, then you are up for a treat. Give these remarkable apps a try, as they make a perfect KissAnime alternative 2017. 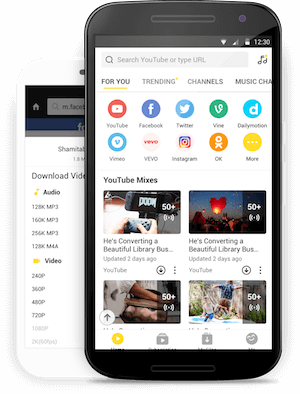 Compatible with every major Android device, Snaptube is undoubtedly one of the best alternatives to KissAnime. You can install it on your Android phone and watch Anime series and movies from different sources. The tool has integrated several streaming platforms in one place. Therefore, instead of looking for an Anime in different places, you can search it on Snaptube and get the desired results. Snaptube has integrated several platforms, hosting an unlimited collection of anime series and movies. It doesn’t matter if you are looking for a latest or an old anime, you are sure to find it on Snaptube. It is a freely available solution and will certainly save your time and efforts. You can watch a video while searching for something else or using any other app (with its picture-in-picture mode). It has a fast loading player, so you don’t have to wait while streaming any content. 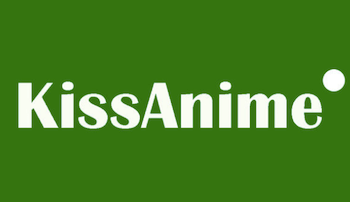 When we think of an ideal KissAnime alternative for Android, Animania is one of the first solutions that come to our mind. Just like Snaptube, it is a freely available tool and has a dedicated collection of anime. The tool has both, dubbed as well as original anime to watch. It has a vast collection of series, which are both new and old. Crunchyroll would be a one-stop solution for every anime and manga series that you wish to watch. It has a vast collection of anime that you can watch for free. Though, if you want to watch some of the latest series, then you might need to get its premium subscription. The free plan contains in-video ads and might not have all the latest series. After joining the premium plan, you can watch videos only an hour after they are originally telecasted. You can also use its Android app and start watching the anime of your choice. Besides iOS and Android, you can also access Crunchyroll on your Xbox or Playstation which makes it an ideal KissAnime alternative. It is another popular KissAnime alternative that is already trusted by lots of people already. It is a freely available Android app that can be used to watch anime on your smartphone. Though, the app is not entirely transparent, so we can’t say much on how legal it is to use it. Nevertheless, you can give it a try and be a judge of it yourself. Anime TV contains more than 2000 different Anime series and its database keeps expanding regularly. While you might not find the latest Anime, the app has an extensive collection of classic and old anime. You can mark your favorite anime and watch them in high-quality too. While the tool is freely available, it doesn’t have a dedicated customer support. Who doesn’t know about Netflix, right? It has a dedicated section for Anime that you can watch and that without crossing any legal boundaries. Needless to say, it is a paid service. Unlike other KissAnime alternatives that we have discussed, you might have to pay a significant amount of money to watch anime on Netflix. It has a wide collection of anime with the inclusion of its original anime and manga series (like Devilman Crybaby, Sword Gai, Lost Song, and more). Besides Anime, you can use Netflix to watch tons of other kinds of content as well. It might surprise you, but even YouTube has quite a vast collection of Anime series that you can watch. There are a few YouTube channels like Daisuki or Funimation that you can follow, as they post regular Anime content. If YouTube has introduced YouTube Red in your country, then you can also join it to gain access to tons of other content. It is a freely available solution with lots of Anime series and movies. Though, it might be a little tough to look for a desired Anime video. While there are some exclusive web Anime series, it has lack of latest series. You can use its mobile app or watch Anime series on your desktop as well. Now when you know about these amazing alternatives for KissAnime, you can easily pick the most preferred platform. We hope that these apps will let you watch your favorite Anime series without any trouble. From all these options, we recommend Snaptube as it has the most extensive collection of Anime. Give it a try – we know you won’t be disappointed!